We are the duck wholesalers in India . 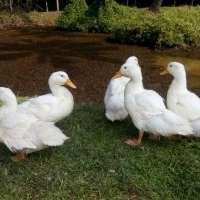 We have all the breeds available with us like White Pekin Ducks and Khaki kambell. We deal in meat, eggs and duckling. Transportation is available all over India.